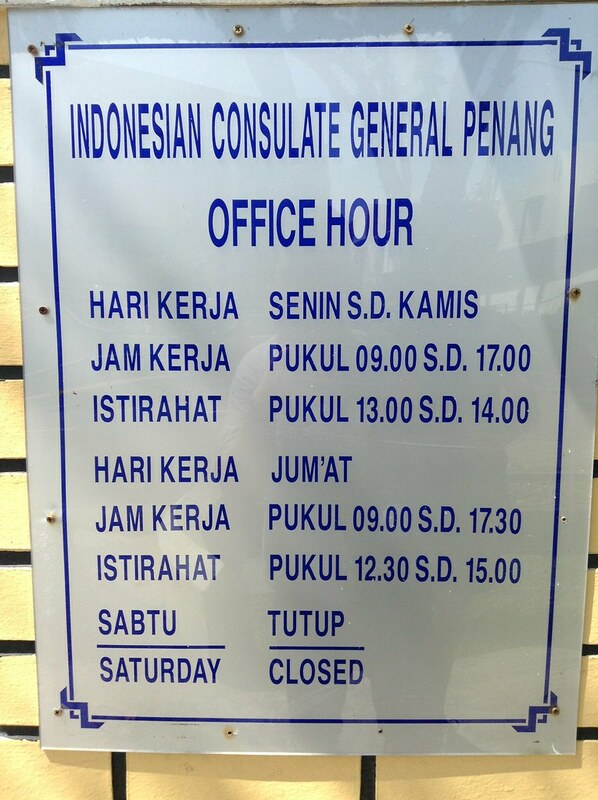 Trying to find information on obtaining a 60-day Indonesian tourist visa in Penang is like trying to find the Holy Grail. 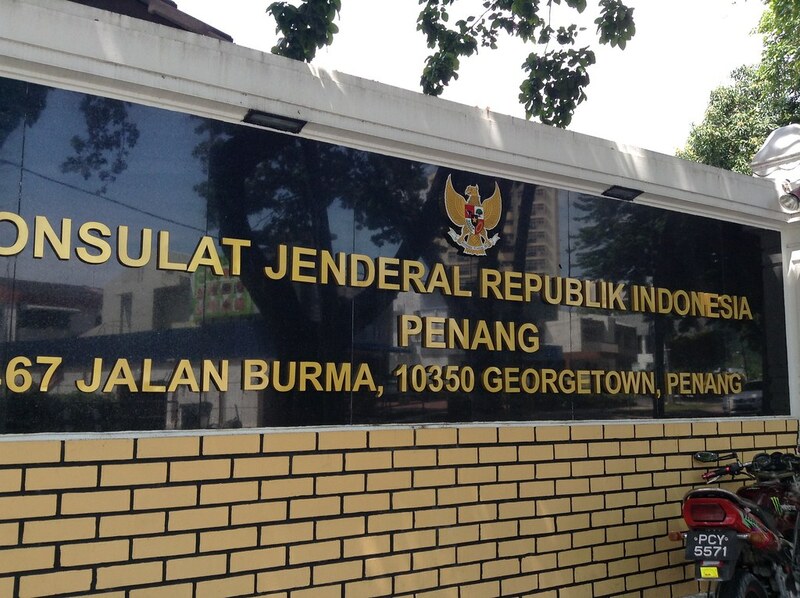 We couldn’t find any legitimate source, like a consulate website or working email address, and the only application form that we found online was for the embassy in KL. There were conflicting accounts about the visa requirements such as whether or not we needed to present an onward ticket and the background color of our photos (they used to require red background visa photos). Here’s an example of a red background passport photo. Must be some kind of communist thing. After scouring the interwebs for hours and not being able to find any solid information I walked over to Chulia Street to inquire with a travel agent. The woman said we didn’t need an onward ticket but we definitely needed a red background visa photo. She only served to confuse me more because this was the complete opposite of what I found on the interwebs! Who decided to make only the top and the bottom in English? At least you know it’s closed on Saturday.